CROOKSTON, Minn. – The Catholic Church has lifted its suspension of Father Joseph Jeyapaul, a priest convicted last year of sexually abusing a child in Minnesota. Jeyapaul is back at his home diocese in Ootacamund, India, but he is banned from ministering in parishes and interacting with children, according to church officials here. "He's restricted to living in the priest retirement house," Monsignor Mike Foltz of the Crookston Diocese said. "While it is true that the suspension was lifted, it is not true that he's been given an assignment." The Crookston Diocese is where Jeyapaul was stationed in 2004 and 2005. He was accused of sexually abusing two girls during that time. In 2015, he pleaded guilty to criminal sexual conduct in one of the cases while the second was dropped. Then he was deported to India. "I have been in contact with the Bishop in Father Jeyapaul's home diocese in India and have been assured that he has ordered that Father Jeyapaul has no ministry in parishes. He has further ordered Father Jeyapaul have no ministry with minors. He has directed Father Jeyapaul to live in a home for retired clergy. At no time after he has served his time in jail and returned to India has Father Jeyapaul been assigned to a public ministry." Bishop A. Amalraj of the Diocese of Ootacamund lifted his suspension of Jeyapaul after consulting with the Vatican's Congregation for the Doctrine of the Faith, Foltz said. Megan Peterson, a woman who has gone public with her accusation that Jeyapaul sexually abused her when she was a teenager in Minnesota, sued the Diocese of Ootacamund in federal court last month, protesting the church's treatment of Jeyapaul. Peterson's lawyer, Jeff Anderson of Minneapolis, said Hoeppner's assurances offer "little comfort" that Jeyapaul won't offend again. "We have no confidence that the bishop in Crookston is being told the truth by the bishop in India, who has a history of not telling us the truth," Anderson said. "The bishop in Crookston may be well-intended but I think that he is easily deceived and I think that the bishop in India with the help of the Vatican has a demonstrable record of not being trustworthy when it comes to this issue." On his law firm's website, Anderson has posted a 2010 letter signed by hundreds of people in Ootacamund defending Jeyapaul's innocence. "We find a deep-rooted conspiracy against the catholic church in USA by such baseless accusations, maligning the name of the individual priests and assassinating their character and damaging the image of the church," the letter said. 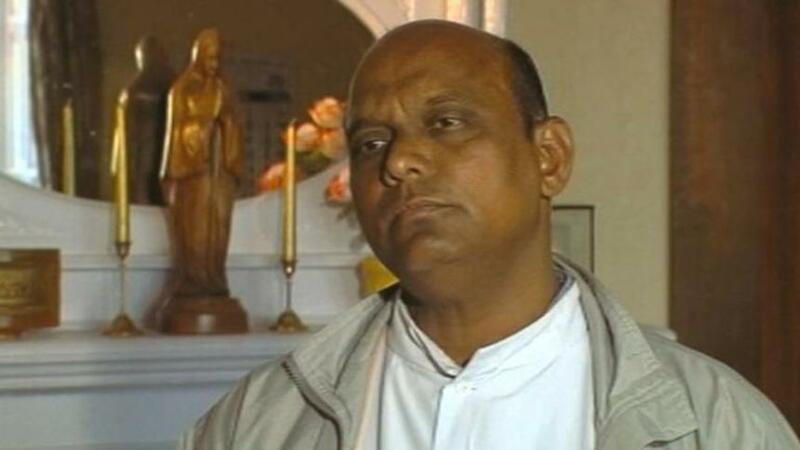 The letter shows Jeyapaul's potential to abuse children again in his home diocese, where he is trusted, Anderson said. "It gives me no comfort to think that those kids are safe today from Jeyapaul because he has them believing that he was wrongly accused, wrongfully convicted," he said. "He is a dangerous man and that is a fact."